We are marketing analysts and strategists. We produce and implement profit growth strategies for businesses that want to expand. With our toolset of marketing techniques, we can prioritise to deliver the best outcomes for our clients. what ROI you can expect and when. Hire us as consultants only or we can implement these tactics for you. If your website is not generating as many leads as you’d like it to, try one of our diagnostics packages. Our diagnostic services include evaluating your existing pages, performing SEO audits, configuring your Google Analytics account and more. We are also experts in data visualisation using Data Studio. We build beautiful and insightful dashboards that can combine different data sources in a single report. Tap into our skills to make your business vision happen. We’re a team of designers, copywriters, developers, analysts, and specialists in SEO, website optimisation and social media. Our implementation services range from creating landing pages and email campaigns to building entire websites. Whether it’s SEO, social media or A/B testing that will make a difference to your sales performance, we will carry out the right tactics for you. If you’re starting out in business and are looking for the best way to create a professional image for yourself, see our Business Start Up Package. If you already have the resources to implement digital marketing strategies, we can work with your staff or your partners to achieve the best performance – whether it is by consulting or by providing training that’s tailored to your business. suggest a costed plan for how you can generate more leads online. It all starts with an initial call or meeting. This will help us understand your opportunities and challenges. A week later, we’ll follow up with your suggested strategy and the research and data behind it. Business Ahead Ltd is registered in England and Wales. Reg. no. : 11394787. 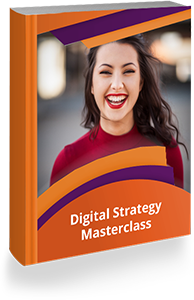 Subscribe and receive 5 lessons on how to develop your digital marketing strategy to start generating more leads.